I have some event news and new updates to give to you. Firstly, I hope everyone has been having fun joining in the current event, Race to Level 100, which is being hosted by Takkju? You may have noticed that for the event Takkju has borrowed the Pixpetevent account, and all the pixpets that we hatched during the first Crack The Egg Code event are now currently racing to get to level 100. I would like to wish everyone who has entered into the current event good luck. In the meantime, the Crack The Egg Code event has been delayed so that the Race to Level 100 can make full use of the Pixpets that we hatched. 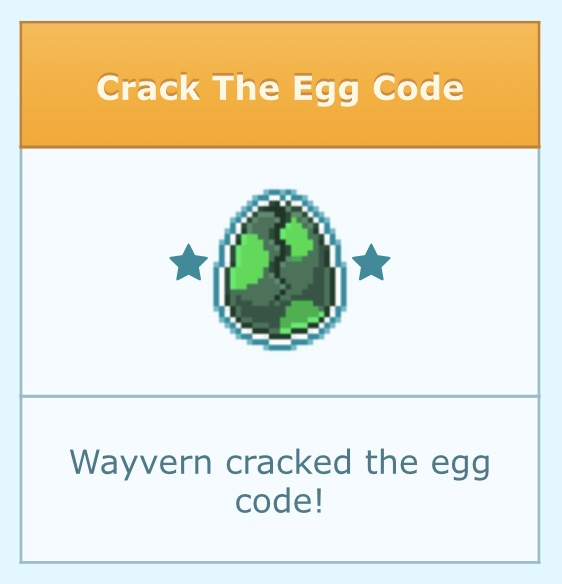 This extra time between events has been put to good use, which brings me to the next part of my news - we have an exciting new update – the new “Cracked the egg code!” badge is here! 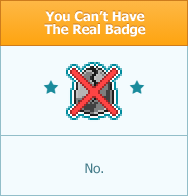 This badge is exclusive and will be given out to the winner of each Crack The Egg Code event. A third stage will also be added, more details of which will be revealed during the next event. The third stage, which will be the final one, will ensure that there is only one winner of the first prize. But do not worry, if you make it to the third stage, and post what is requested of you to acknowledge your entry, you will still pick up a prize, even if you do not win first place. Finally, my last piece of news. At the end of the last event, I posted a link for you to vote which egg that you would like to see in the next Crack The Egg Code. 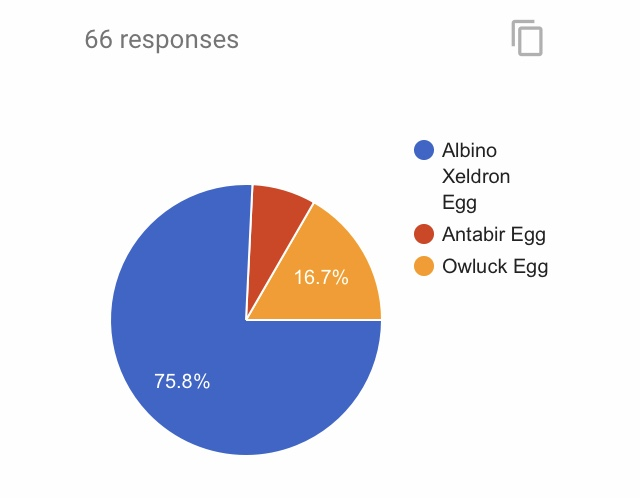 We had a total of 66 responses and the majority of you just could not resist the beautiful Albino Xeldron egg. I look forward to you all joining me. So the event isn't running yet, but this is what the main prize will be? The event will start after the Race to Level 100 finishes, as I will need the Pixpetevent account to host the eggs. Ooooo I'm so excited about that badge!